The estimation of semantic similarity between words is an important task in many language related applications. In the past, several approaches to assess similarity by evaluating the knowledge modelled in an ontology have been proposed. However, in many domains, knowledge is dispersed through several partial and/or overlapping ontologies. Because most previous works on semantic similarity only support a unique input ontology, we propose a method to enable similarity estimation across multiple ontologies. Our method identifies different cases according to which ontology/ies input terms belong. We propose several heuristics to deal with each case, aiming to solve missing values, when partial knowledge is available, and to capture the strongest semantic evidence that results in the most accurate similarity assessment, when dealing with overlapping knowledge. We evaluate and compare our method using several general purpose and biomedical benchmarks of word pairs whose similarity has been assessed by human experts, and several general purpose (WordNet) and biomedical ontologies (SNOMED CT and MeSH). 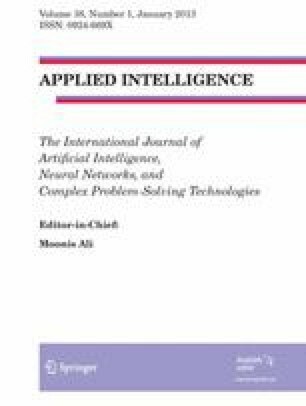 Results show that our method is able to improve the accuracy of similarity estimation in comparison to single ontology approaches and against state of the art related works in multi-ontology similarity assessment. This work was partly funded by the Spanish Government through the projects CONSOLIDER INGENIO 2010 CSD2007-0004 “ARES”, DAMASK (TIN2009-11005), and by the Government of Catalonia under grants 2009 SGR 1135 and 2009 SGR 01523.